I purchased The Accelerated Program for Six-Figure Copywriting from American Writers and Artists Incorporated (AWAI) in October of 2014 and finished the course in four months. 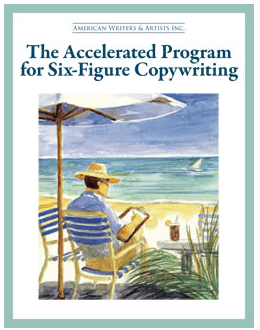 The Accelerated Program for Six-Figure Copywriting is a long eBook. It’s expensive and poorly organized, and regardless of what AWAI promises, few people will succeed with it. There are easier and more lucrative ways to earn money as a writer. If you’re serious about making money as a writer, this is my #1 recommendation. The Accelerated Program for Six-Figure Copywriting and Long Sales Letters. The Accelerated Program for Six-Figure Copywriting teaches how to write a long sales letter. Originally, these long sales letters were 12 to 22 pages long and designed to be sent through the mail. This is known as direct-marketing. As the name implies, direct-marketing is the process of marketing directly to the potential consumer. It’s the letter you get in the mail asking you to donate to the animal shelter or an email promoting an investment newsletter. Now, most long sales letters are used online, although that is changing. The marketing trend is away from long sales letters. While the principles of long sales letters still apply, the trend is towards sales videos and sales funnels which use a multitude of marketing devices to gain sales. So even if you mastered long sales letters, you’d still need to understand sales videos, landing pages, PPC campaigns and how to set up sales funnels in order to be competitive as a copywriter in this niche. Direct marketing is a multi-trillion dollar a year industry. Copywriters who write for the direct marketing industry are the highest paid copywriters in the world. Usually, a direct marketing copywriter is paid a fee upfront plus a percentage of all sales. What they earn from sales is often dramatically more than what they are paid up front. I know of one copywriter who earned over $1.85 million from a single letter, although he admits that’s the high end. Still, it really can be quite lucrative. You see, a direct-response copywriter is fundamentally a salesman who sales through writing. That doesn’t mean you have to be good at face-to-face sales. That requires a different skill set. A salesman who sells through writing is someone who can write persuasively. That’s what The Accelerated Program for Six-Figure Copywriting is all about. It teaches you to write persuasively. Once you know how to persuade others, you have a very powerful skill at your disposal. Please use it for good. A face-to-face salesman is forced to sell to one person at a time. Compare this with a direct-response copywriter who might sell to millions of people with a single letter. Now, can you see how lucrative direct-response copywriting can be? If you like to write, it’s worth the effort it takes to master copywriting. Please don’t gloss over that last sentence. To be successful with any form of copywriting, it is essential that you like to write. Otherwise, you’ll be miserable trying to make this work for you. Essentially, a direct-marketing letter is an ethical attempt to persuade the reader to take a specific action. The desired action might be to buy something, make a donation, try a free trial or provide some information. The Accelerated Program for Six-Figure Copywriting teaches you how to write persuasive copy. It’s the foundation for entering the direct-response industry. It does deliver everything the ad promises, but you have to do the work, dig in and make the information your own. You’ll probably need to take some additional training for a specific niche and learn how to effectively market your services too. The Accelerated Program for Six-Figure Copywriting is nearly 700 pages and includes two writing assignments which are critiqued by AWAI staff. Really, the course is a very long eBook and, unfortunately it isn’t organize very well. Because it is so comprehensive, it’s not an easy course to get through. It’ll require commitment on your part to finish it. And it’ll take commitment to succeed as a copywriter once you complete the course. Here’s what you can expect to learn in The Accelerated Program for Six-Figure Copywriting. These are the broad categories inside the program. The Structure of Direct-Response Sales Copy (This is the heart of the program). Who is The Accelerated Program for Six-Figure Copywriting for? It’s for writers who want to become professional copywriters. If you’re an online marketer and just want to learn to write better copy for yourself, this course would be overkill. Although the ad for The Accelerated Program for Six-Figure Copwriting targets anyone who wants to make money and be their own boss that is misleading. This is NOT a make big money quick opportunity. It takes years to get established writing long copy. Keep in mind, writing copy is work, often relentlessly hard work. It’s not the breezy, indulgent ideal presented in the advertisements for The Accelerated Program for Six-Figure Copywriting. If you can’t sit down and write for hours, day after day, copywriting is not for you. Also, once you finish the program and feel you are competent to write direct marketing sales letters, you’ll have to work at finding clients. This can take months of working the phone, sending letters and following up. Self-promotion is a critical part of a freelance copywriter’s life. 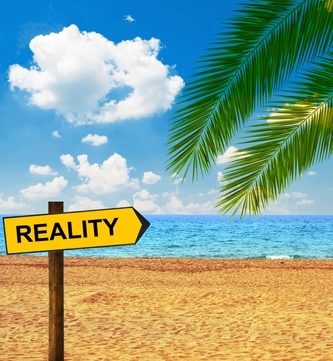 Even with constant marketing, the income can be sporadic. Then, once you have a client, you’ll have to negotiate fees and sign contracts. Clients can be difficult to work with and you’ll need several clients in order to make a reasonable income. Each client is like a boss, so you’ll effectively have several bosses, although technically you work for yourself. Pursuing a copywriting career is NOT a get-rich-quick scheme. It can, however, be the single best idea you ever had. Clayton Makepeace, Quick Start Copywriting System. While the ad for the program implies anyone can write direct-response sales letters, I think a more accurate assertion is that anyone who enjoys writing for hours and who also has the motivation to master the skills can do it. If you don’t enjoy writing, trying to learn copywriting will only bore and frustrate you. Just to be clear, fat pay checks will not magically appear in your mailbox when you finish The Accelerated Program for Six-Figure Copywriting. You’ll have to market yourself. The program explains how to do this but does not go into detail. There is a lot more you will need to learn in order to market yourself successfully, land clients and successfully complete writing assignments. AWAI has additional courses that focus on building a copywriting business. These too are expensive. I was told by a man who hires direct response copywriters that a newbie should expect to fail in the beginning. A new writer’s first few letters are usually not profitable, but once your letters start making money for your clients, more clients will seek you out. Don’t expect to make 6 figures your first year. The Accelerated Program for Six-Figure Copywriting is merely the beginning. You’ll need to work hard to build your confidence. You’ll also have to work the phones and face rejection, a lot of rejection. If you don’t have the personality for selling yourself, I recommend a much saner approach. You can read about it here: How to Earn a Darn Good Living as a Writer. How Much Does The Accelerated Program for Six-Figure Copywriting Cost? The course is expensive, too expensive for anyone who’s just starting out. It costs $350 and remember, it’s just an eBook. Going $350 in the hole is no way to start a new career. You won’t get wealthy spending money. Plus, if you buy The Accelerated Program for Six-Figure Copywriting, you’ll be in AWAI’s sales funnel. They’ll hammer you with offer after offer. If you’re not careful, you’ll quickly spend several hundred dollars more chasing the dream they dangle in front of your nose. Before buying The Accelerated Program for Six-Figure Copywriting, particularly if you’re new to copywriting, I strongly recommend that you read The Everything Guide To Writing Copy-All You Need to Create Copy That Sells . It costs about $15. After you read The Everything Guide to Writing Copy, if you still want to get The Accelerated Program for Six-Figure Copywriting, you may want to search online for a used copy which I’ve seen for less than $25. Also, there is a ton of free information online about copywriting. If you buy The Accelerated Program for Six-Figure Copywriting, AWAI will immediately begin trying to sell you more courses, programs, workshops and membership to specialized online communities. I found this confusing and distracting. The Accelerated Program for Six-Figure Copywriting is very comprehensive and will take you months to get through. My advice is to ignore AWAI’s attempts to sell you more stuff until you are through The Accelerated Program for Six-Figure Copywriting. After you finish the program, you’ll know better which additional course will best serve you. I do not recommend The Accelerated Program for Six-Figure Copywriting, unless you are familiar with copywriting already and enjoy writing long projects. Keep in mind that the deepest learning happens when you study successful sales letters and write, write, write. All the information in The Accelerated Program for Six-Figure Copywriting is available for free on the internet. You just need to do a little research and devote yourself to learning it. On the other hand, if you want an affordable option for starting an online business where your writing skills will give you a tremendous advantage, I recommend reading How to Earn a Darn Good Living as a Writer. Hi Misty! Thanks for stopping by. Awesome review Gary I’m going to take your advice about your Wealthy Affiliate recommendation seems like something more for me. The Accelerated Program for Six-Figure Copywriting sounds great to. good luck on your copywriting career. Hi Rick! Thanks for taking the time to comment. Yes, I’m sure you’ll be happy with Wealthy Affiliate. It changed my life. I think one of the hardest things for new online marketers to grasp is how to write proper copy. Even basic write skills escape many, so when they suddenly have to write a convincing argument about why a product is good or bad, it ends up as a mess. Having a bit of extra training in the writing department is definitely something I’d recommend for something with the dough, the time, and the motivation. I agree Nathaniell. When you think about it, the internet is really about content and writing is so important. When I first started reading the review I was thinking that you were going to say it was bad. Glad to hear that it is actually a real product. Also glad to know that it does not lead you astray with false promises and no work. It takes work to make money. Hi Marc. Yes, it’s a solid product and will improve anyone’s writing skills, but it’s not magic. What a beautiful, impressive write-up on copy writing. In fact you could make any body to start thinking towards copy writing. That’s very impressive and the prospects are quite viable. Thanks. Writing really is a superpower and when done right, copywriting is a tremendous moneymaker. The accelerated program for six figure copywriting sounds like a very impressive program. I love writing, but I don’t feel that I would have the confidence to approach big companies and sell writing skills as a copywriter, even after following a program like this. I should imagine for each job you take on there would be a mountain of research to do for each project you wrote. As you say, for the income that you can make it would be worth it. Wealthy Affiliate sounds more in my league as I can create my own website and not have to try and sell my skills to anyone. Thanks for stopping by. You’re right. There usually is a lot research for a sales letter. Copywriting isn’t for everyone, that’s for sure, but it can be rewarding. Also, writing is a solitary occupation. Solitude is nice sometimes, but so is community. That’s why I love Wealthy Affiliate. They make building an online business a snap and the community is so warm and supportive too. Thanks again for taking the time to comment. Thank you, Gary, for this review of AWAI’s course in copywriting. I joined AWAI hoping to learn a new, marketable skill but it wasn’t until later that I understood the implications of joining AWAI. I have been literally bombarded, usually twice a day, with emails trying to sell me one of the many products created by AWAI. These products are undoubtedly helpful but, YES, they are expensive, extensive and “exclusive”. All the tantalizing hard-sell copy about the ease by which I can become a wealthy freelance copywriter is not only confusing to a newbie, but really annoying after a while. Thank you for providing alternatives to AWAI as well as an affirmation of what I’ve come to suspect: there are other, far less expensive and far less time consuming ways to learn copywriting. This review was very helpful to me and I thank you again! Thanks for stopping by. I appreciate your comment and I’m glad you found my review of AWAI helpful. Thanks for the information!! I was getting a little confused though. It seemed to me in one instance that you were not a fan of the accelerated program for six figures. But it also seemed as if you credited them with providing you with valuable information and training. It was a little confusing to me. But it was very infomative and educational. Thanks for sharing. Thanks for stopping by. I appreciate your comment about being confused. I’ll go back through and make my position more clear. I did learn from The Accelerated Program for Six Figure Copywriting and enjoyed it. However, I would not recommend someone start with the Accelerated Program if they want to be a copywriter. It’s expensive and the information can be found online and in books at a much more affordable price. Also, copywriting is rapidly changing because of the internet. Many people enter copywriting because they can write and want to make money with their writing. AWAI, who publishes The Accelerated Program for Six Figure Copywriting, sells the program as if anyone can do it and quickly be earning six figures. This is not true. So while there is much good in the course, I feel it is not worth the cost and that AWAI misrepresents how easy it is to be a copywriter. It’s not easy at all. It’s darn hard work, just to get the first client. Hey there Gary , very interesting ebook.I agree with you , long sales letters are outdated , people seeking for speed.I guess every company moves to that direction.I can hardly recall a long email for quite some time. I hate face to face sales , I prefer writing as alternative and more effective method , but that depends on someone’s style and background. Therefore I comprehend your thoughts and follow back , copy writing is just another business that needs time to develop the skills and gain exposure. The immediate Up-Sells does not add to their status , good for you to mention that , very important.And the price is a little expensive. But it is a book on specific skills that can drive someone to high levels of success.So…I can’t make a conclusion here.It may be worth “That” money , although we have to consider that long sales posts are not effective now. I can understand why you don’t recommend it after all. I would have started with a website , practice through daily blogging and as time passes by I would have upgraded my writing skills automatically.Then I could apply for copywriting opportunities. Thanks for stopping by. Your insight is spot on. Copywriting is a worthy skill to have, but in the internet age, clients want copywriters to have internet marketing skills too. Like you mentioned, developing your copywritiing skills with a blog is a great place to start and far more affordable than the AWAI courses. Hi Gary! This was an interesting article. I’ve never really even thought about copyrighting until reading this. I do love to write for hours and days at a time, however I hate cold calling and having to sell myself. I can do it but I don’t like it. So thank you for pointing out another way writers make money and for helping me to see that I am already right where I need to be – blogging. Since neither way leads to instant riches anyway, I might as well stick to a way that I know I enjoy because I don’t have the pressure of deadlines, contracts and having to make phone calls to sell myself. Very good post! Thanks for stopping by. 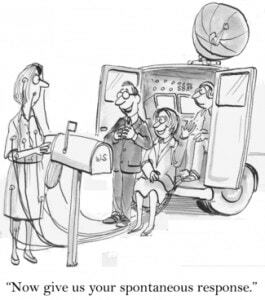 I don’t like cold calling either. For most copywriters that’s the worse part. Like you, I’d much rather write for my blog. Copywriting seems like a very interesting way to make a living for a writer. It definitely offers the potential to have a great work/life balance. How much does the Accelerated Program for Six Figure Copywriting course cost? Is it normal for the course to take 4 months to complete? Thanks for stopping by. Working as a copywriter can be liberating, but it also has its headaches. The average income is about $60,000 a year with many copywriters making far less than this and a handful making well above $100,000. Like you mentioned, if you’re good at setting boundaries and dealing with the stress of deadlines, it can be a good career. Although it can take years to get established and secure a solid client base. However, I found that for someone starting out, there is far greater earning potential and personal freedom in building and writing for your own authority website. It takes about the same time to establish an internet business as it does to establish a copywriting business. The difference is with an online business everything you write and post to you website builds on what you posted earlier and attracts traffic and revenue year after year contributing to an ever increasing revenue stream. Plus, you don’t have to deal with unreasonable clients. You asked about the price of The Accelerated Program for Six-Figure Copywriting. At the moment, the price is $350, but the price fluctuates. In the past year I’ve seen sell for as high as $500 and as low as $200. Used copies are available online for as low as $15. While there are two graded assignments, the course really is just a very long eBook, over 700 pages. Recommend getting a used copy if you’re interested. I don’t know what is normal regarding the time it takes to complete the course. From reading posts on the AWAI member forum, it appears that many people never finish the course at all. It’s not an easy course to get through. The final assignment took me a month. In real life, it takes three to six weeks to write a long copy sales letter from start to polished end. So, I would think that the time it took me to finish the course was about average, but that’s just a guess. You definitely made the right decision. If you had taken the course and finished you’d still have to launch your business and track down clients. Wealthy Affiliate is a far better option and like you mentioned, much more affordable too. Thank you for writing the article on The Accelerated Program for Six-Figure Copywriting. I understand that persuasive writing is a very important skill to acquire, but as you said, to be successful with this course you have to love writing and have the patient to sit for hours doing it. Your article is very informative and gave me something to think about. I will find a less expensive way to improve my persuasive writing skills, because I know it’s a very essential skill to have when you’re writing web content and blogs. Thanks for stopping by. I’m glad you found my article useful. Yes, indeed, the ability to write persuasively is a very valuable skill, but you don’t need to take an expensive course to learn it. In addition to “The Everything Guide to Writing Copy,” which I mentioned in my article, I recommend the book “Influence: The Psychology of Persuasion.” Not only will “Influence” teach you how to be persuasive, it will teach you how to avoid being influenced by scammers. Sounds like it certainly is feasible to make a large income through this program. The idea of working to the specifications of several “bosses” is a bit of a deterrent for me. Programs like this may have potential, but their methods are a bit questionable and misleading. Also, it can be difficult to retain information without organization, which it sounds like this “training” is lacking. However, I think any form of writing that is practiced can benefit those that try to improve, especially persuasive writing. I may look into it just to expand my horizon. Thanks again for the read, all the best. Thanks for stopping by. Overall, I didn’t think it was worth the expense and like you said, who wants to have several bosses. One is too many in my book. If you’re interested in learning copywriting, I recommend you start with these two books: “Influence:The Psychology of Persuasion,” by Dr. Robert B. Cialdini, Ph.D., and “The Everything Guide To Writing Copy: From Ads and Press Release to On-Air and Online Promos–All You Need to Create Copy That Sells,” by Steve Slaunwhite. The Accelerated Program For Six-Figure Copywriting seems like it can definitely help people write persuasively, which can be really valuable in the affiliate marketing industry. This is what I would use it for, but like you said, it might be overkill. Maybe The Everything Guide to Writing Copy would be a better option in this respect as it is much cheaper and I’m assuming much easier to get through. Is this an ebook as well? How long would it take the average person to finish? And how does it compare to The Accelerated Program For Six-Figure Copywriting? Thanks for stopping by. Yes, the course would be overkill and too expensive. I recommend these two books, which are available on Amazon for about $15 a piece. â€œInfluence:The Psychology of Persuasion,â€ by Dr. Robert B. Cialdini, Ph.D., and â€œThe Everything Guide To Writing Copy: From Ads and Press Release to On-Air and Online Promosâ€“All You Need to Create Copy That Sells,â€ by Steve Slaunwhite. Great review of Six-Figure copywriting. As I can see, the ebook you recommend contains a lot of useful info and you recommend it but I would like to know your opinion if the price is worth it because it’s not cheap at all. I like your realistic review and that before selling and making money you clearly explain that pay checks will not appear immediately in the nail box. Very good warning and honest approach. Have you been able to apply the knowledge in practice and justify the money you spent on this book? You ask a good question. The course has paid for itself, but, because it is so expensive, I don’t recommend it. It’s definitely not appropriate for people who don’t like to write for hours and hours each day. On the other hand, if someone is interested in copywriting as a career, I recommend they read the following books: â€œInfluence:The Psychology of Persuasion,â€ by Dr. Robert B. Cialdini, Ph.D., and â€œThe Everything Guide To Writing Copy: From Ads and Press Release to On-Air and Online Promosâ€“All You Need to Create Copy That Sells,â€ by Steve Slaunwhite. This is a very thorough and comprehensive review. After in reading this though, I’m not sure being a copy writer is for me. I don’t know that I could handle the stress of deadlines. What have you found to be the most stressful thing in this industry? I really like your review of the Wealthy Affiliate program and think this is much better suited for most people. Thanks so much for stopping by. You asked what I found most stressful about copywriting. For me, dealing with the demands of clients who do not understand copywriting. Many of them are control freaks who insist I write the copy their way, but then abuse me when “their way” fails. It’s like they want me to create a square for them, but then insist that I make it round. They want a round square and get really upset when I can’t deliver a round square. I’m not a drinking man, but sometimes I think I should be. I don’t recommend copywriting as a career. Now that we have the internet, a writer can simply build an authority blog and write about subjects that interest them. There’s no bosses and very little pressure, other than the pressure we put on ourselves. Most copywriting clients want the copywriter to have a solid understanding of online marketing anyway. If you know how to market online, you really don’t need to be taking on clients. You can work for yourself. Thanks for this comprehensive review. What is your take on writing courses offered by http://copywritingtrainingcenter.com/ and freelancewritersden.com? 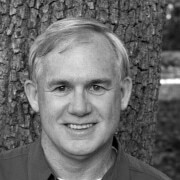 The Copywriting Training Center is owned by Steven Slaunwhite. Slaunwhite has a great reputation. I know of one person who increased their copywriting income after being mentored by Slaunwhite. His one-on-one mentoring is $2000. For this reason, I don’t recommend it for someone just starting out. Later, after you’ve gotten started and are sure copywriting is something you want to do, and you have an income from copywriting so you can write off the expense of Slaunwhite’s mentoring on your taxes, then it might be good option. When you’re starting out, it’s important not to spend too much up front. Get your feet wet, learn a little bit, put it to use and start making money, then you’ll know if you should invest in more training. As you’ve discovered AWAI is a very misleading and very expensive way to learn copywriting. Also, many of their products have not kept up with the internet. They were born out of the 1980s and their products have a “No Money Down” Real Estate feel to them. A lot of over-promising and under delivering. The “Everything Guide” is a great place to start. Also, “Influence: The Power of Persuasion” by Robert Cialdini is a good one too. I’m in the process of writing a copywriting course which I will offer free on my site. In this course, you will learn how to write basic copy, how to find clients and what to charge them. The course is meant to be a foundation for a profitable copywriting career. I’m trying to get the course out by mid-April and will send you a note when it’s ready. I’m so glad you did not buy The Accelerated Program for Six-Figure Copywriting. You would have lost time and money and ultimately been disappointed. When will your copywriting course be available? I hope to have it out by the end of the year. I’m sorry it’s taking so long. I have too many projects.